Sign Up: Log in to your Insight™ account at accounts.theaamgroup.com and click on My Profile at the very top center of the page. Ensure that your store’s physical address, email address, and WD account number(s) are correct. If you don’t have an Insight™ account, create one for free at totaltruckcenters.com/rs; it’s secure, easy, and takes less than 5 minutes. 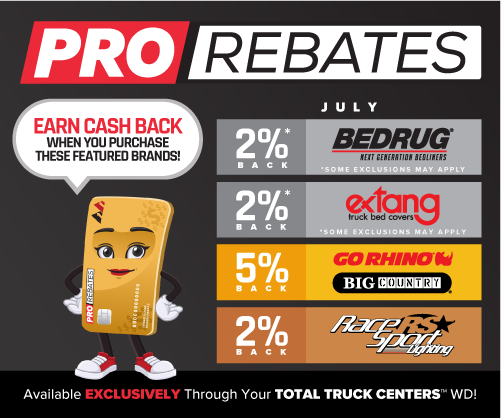 Buy from Your Total Truck Centers™ WD: Start enjoying automatic rebates by purchasing featured brands from your Total Truck Centers™ warehouse distributor. That’s it!